If you are looking for IOTA hardware this is the right place. 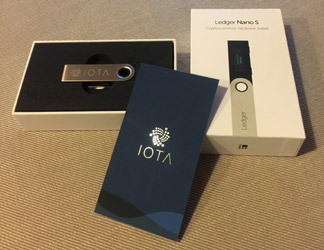 You want to run an IOTA Node or store your funds on a Ledger Nano for e.g.? – here you’ll find the right devices for your needs. These tools make it possible to interact with the IOTA Tangle and participate in the network. You can stream data (from your weatherstation or other sensor data for example) and be part of a IOTA Data Marketplace. Sell your data or exchange it for other data you might need. But you can also stream data to the Tangle for your own projects. There are small hardware devices like the Ruuvi Tag or the Bosch XDK that you can use to collect data and stream it on the IOTA Tangle. Raspberry Pi is a perfect solution for experimenting with the Tangle or building own projects or POC’s (proof of concept). There are also community projects and testings like the “ICT“(IOTA controlled agent) started by IOTA co-founder CFB. The FPGA-board will soon also enable fast POW. It’s a small device and runs on low power, making super fast POW come true. And there are many more things that will need some kind of hardware in the future. All the latest hardware articles/updates can be found >here<. If you are a merchant that sells hardware and want to accept IOTA payments – check our IOTA payment gateway solutions. The Ledger Nano S is one of the most bought and most favorised hard wallets in the cryptospace. It is super secure and easy to use. The new Ledger Nano X now comes with Bluetooth, which makes using it even easier than it already is. Just download the IOTA App onto your Ledger device and you are ready to go. You can store your funds safely on your Ledger Nano S or Nano X using the Trinity App. Great thing is, that the seed will never leave the device. Even if your PC is compromised your cryptocurrencies are still safe. This piece of hardware is most likely the safest way to store your IOTA. 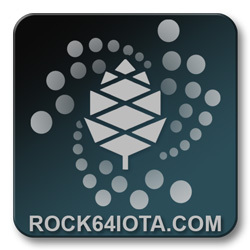 The products at Rock64IOTA.com are IOTA hardware solutions if you want a full node that is almost ready to go. The node software is already installed and you don’t have to have the programming skills you would need setting up it all by your own. Hosting a full node is a great way to support the Tangle and of course it got many advantages for you – the hoster – too. Thanks to ‘Local Snapshots‘ there is no need for huge storage anymore. Devices with low capatacy storage are now also able to host a node. A Raspberry Pi is a great piece of tech if you want to participate in the world of IOTA. For beginners it’s a great way to learn the basics of programming with languages like Python and others. It’s the perfect IOTA hardware for beginners. Write your own programs that use IOTA or take a look at all the programs that already got developed. You can strem data like weatherdata you collected with a DHT11 or participate in cool project like the ‘ICT testing’ on the Discord channel organized by CFB. Soon you will most likely be able to use a Raspberry Pi or maybe even a Raspberry Pi Zero as a Node. This little device is also perfect for creating proof of concepts. The Bosch XDK is a prototyping device which can collect all kinds of data. It got built in an accelerometer, magnetometer, gyroscope, pressure- acoustic- temperature- digital light and humidity sensor. There are also programmable pushbuttons, built in WIFI and Bluetooth, SD-card and much much more. This all comes in a super compact housing with a built in battery. All data that the Bosch XDK collects can be streamed to the tangle. 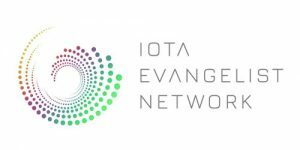 For example to the IOTA Data Marketplace. 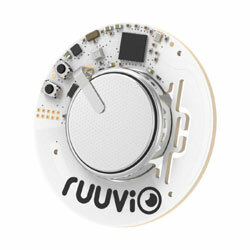 Ruuvi is a company from Finland which builts small sensors that can be used to stream data like temperature, humidity, (air-) pressure and motion to the Tangle. RuuviTags are the perfect hardware solution for data streams. This is why Ruuvi also partnered with IOTA. The sensors are small, run on very low energy and there is a great community. They are easy to use and implement into your project. There is even an app where you can control your Ruuvi Tags.